KPS is a local Hoedspruit company, founded by Leon Thom to meet the need for swift, reliable travel experiences between selected destinations. We noticed an alarming trend in which travellers were missing international flights through unreliable shuttle operators. We wanted to overcome this, and create a comfortable, consistent travel service between one of the most exquisite regions in the world, and the international airports that bring in travellers. KPS delivers a luxury business class experience with attention to time and detail. Our mission is to serve, satisfy and delight our guests. We are committed to making a difference daily, and we’ll evolve to meet and exceed our clients’ needs and expectations. Our guiding principle of service underpins everything we do, ensuring that we operate to the highest standards. 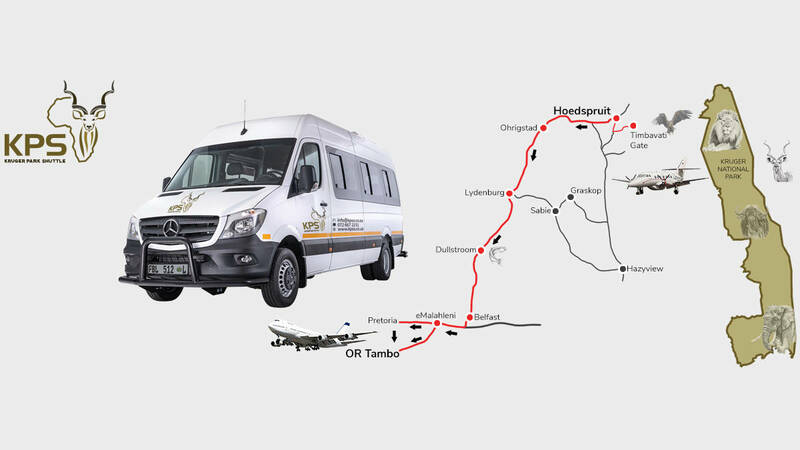 Approximately 650 000 tourists, both international & local, pass through Hoedspruit every year, and this excludes your direct flights to your private game reserves which form part of the Greater Kruger National Park. Kruger Park Shuttle, Charter and Safari Services aim to provide a memorable and comfortable experience to each and every guest that travels to and from the area.